For those of you who have been living under a rock for the last 32 years, Annie is the story of a young girl, abandoned at a young age by her parents, who now lives in a home with other orphaned girls. The home is run by the washed up, often drunk, and generally mean spirited Ms. Hannigan. This role, taken on by Cameron Diaz, provides a number of laughs, many of which are written for the adults in the audience. The film is not only updated for the modern day, but pokes fun at the past, with Ms. Hannigan having lost her celebrity status from C+C Music Factory. While Cameron Diaz did a nice job in this role, it may be the one thing I missed from the old flick… no one beats Carol Burnet (who played Hanigan in the original). Annie goes to live with Mr. 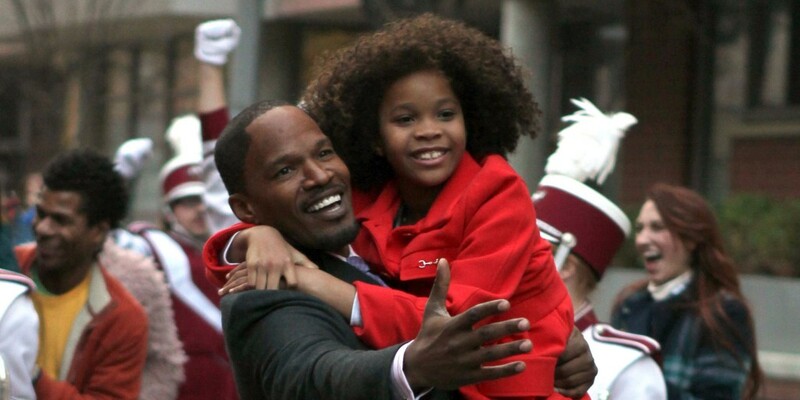 Stacks (Jamie Foxx) as a ploy to help him gain points in the mayoral race. Mr. Stacks believes all he wants is to win, and Annie just wants to find her parents… but we never really know what we want until it’s right in front of our face. 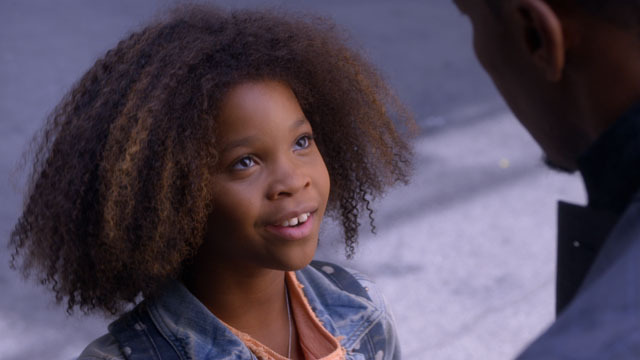 Quvenzhané Wallis (Beasts of the Southern Wild), who plays Annie, is so charming. She does an excellent job adding sass to the role, all the while, letting sweetness and sensitivity shine through. Jamie Foxx is excellent as Mr. Stacks. His transformation from the man with the hardened heart to a loving and caring father figure is fun to watch. Rose Byrne (Grace), Bobby Cannavale (Guy), and David Zayas (Lou) all have supporting roles that add to the stellar cast that makes this film a joy to watch. The music stays true to the original, with some updated tracks from Sia. (Not going to lie, I’ll probably buy the soundtrack). Aside from missing Carol Burnet’s on screen presence, I can honestly say that I enjoyed this film more than the original. Children actually sat still for 118 minutes. Any of you that have kids or have taken them to movies before know this is as close to a Christmas miracle as you’re going to get. There was no crying, no outbursts, and minimal in and out to the bathroom. That would be worth the price of the movie even if it was terrible, but you lucked out folks, this is one you will really enjoy. This entry was posted on Friday, December 19th, 2014 at 12:10 am	and is filed under Film, News. You can follow any responses to this entry through the RSS 2.0 feed. You can skip to the end and leave a response. Pinging is currently not allowed. « WWE: Smackdown December 16th, 2014! !